Carole Mortimer was born on 1960 in a village in England that she claims was so small that "if you blinked as you drove through it you could miss seeing it completely!" She adds that her parents still live in the house where she first came into the world, and her two brothers live very close by. Carole's early ambition to become a nurse came to an abrupt end after only one year of training due to a weakness in her back, suffered in the aftermath of a fall. Instead, she went on to work in the computer department of a well-known stationery company. During her time there, Carole made her first attempt at writing a novel for Mills and Boon. "The manuscript was far too short and the plotline not up to standard, so I naturally received a rejection slip," she says. "Not taking rejection well, I went off in a sulk for two years before deciding to 'have another go.'" Her second manuscript was accepted, beginning a long and fruitful career. Her strong, traditional romances, with their distinct style, brilliantly developed characters and romantic plot twists, have earned her an enthusiastic audience worldwide. Since the publication of her first novel in 1978, this British writer has shown no signs of slowing her pace. In fact, when over 20 years later she celebrated the publication of her 100th book She says: "I have enjoyed every moment of my career! I really do enjoy my writing, and have every intention of continuing to do so for another 20 years!". Carole married to Peter, father to two children, Matthew and Joshua, they had four sons more: Timothy, Michael, David and Peter Jr. With a family formed by six children (with 22 years of difference between the first-born and the unexpected youngest child), they live "in a most beautiful part of Britain" with a menagerie of pets, including a dog acquired several years ago in Canada, which is actually half-coyote! 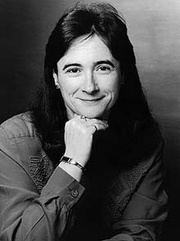 Carole Mortimer is currently considered a "single author." If one or more works are by a distinct, homonymous authors, go ahead and split the author. Carole Mortimer is composed of 6 names. You can examine and separate out names.